British indie label Rock Candy Records is putting two Survivor albums back in print: 1983’s Caught in the Game and 1984’s Vital Signs. These two LPs followed Survivor’s 1982 smash “Eye of the Tiger,” famously featured on the soundtrack to Rocky III; interestingly, only one of them had any degree of success. Caught in the Game was mostly a stiff, only managing No. 82 on the Billboard charts (the same position as pre-success LP Premonition in 1981) and the title track, the only single, did not perform well. 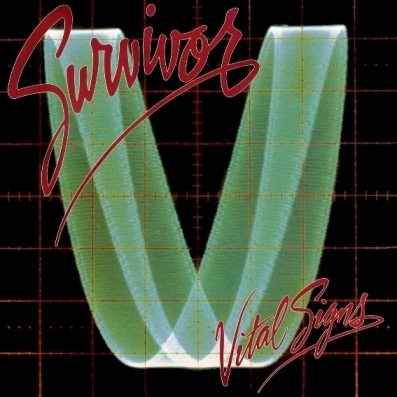 By contrast, Vital Signs was a hit: “I Can’t Hold Back” peaked at No. 13, while subsequent singles “High on You” and “The Search is Over” fared even better, respectively charting at No. 8 and No. 4 in the U.S. Both discs are remastered from the original tapes and feature expanded liner notes. Vital Signs is extended by one track: “The Moment of Truth,” as heard on the soundtrack to The Karate Kid (1984). Both can be ordered on Amazon U.K.; they will be available to order in the U.S. on December 7. View the track lists after the jump. The entire Survivor catalog was reissued as mini LPs in 2009 in Japan.